Oregon Center for the Arts at Southern Oregon University enjoys close working relationships and partnerships with many community arts organizations. These community arts partners provide professional and semi-professional arts experiences for SOU students. Check them out and see for yourself! Celebrating the diversity of human experience through the art of independent film in the heart of Ashland Oregon. 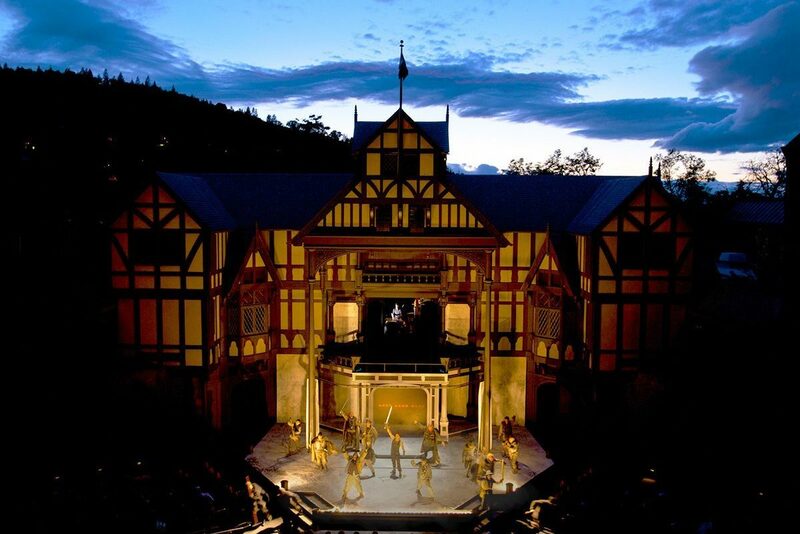 A major theatre arts organization, OSF offers a diversity of plays, events and activities for theatre goers of all ages. Outdoor summer music and performing arts festival featuring world class artists in jazz, folk, country, pop, dance, and classical music. The Rogue Valley Symphony is committed to bringing great classical music performances to the communities of Southern Oregon. Over thirty galleries and studios with dozens of artist members offering the community diverse, high quality works of art. Southern Oregon Repertory Singers are a 42 voice ensemble that have been performing throughout the Northwest since 1986.